An industrial innovation center focusing on new energy Internet of Things (IoT) was established at Trina Solar's headquarters in Changzhou, China on August 17. The center will partner with leading companies and research institutes both in and outside of China to create an innovation platform for the research of new energy IoT through establishing innovation systems such as new energy power generation and storage technology, as well as the technology of smart terminals, energy management and energy cloud. Establishment of the new center represents a new milestone for Trina Solar's development strategy of becoming a leader in the global energy IoT market. The co-establishment partners of the center come from 16 leading companies and research institutes. The center has also assembled an expert committee made up of 13 professionals led by Xiaoxin Zhou, Academician of the Chinese Academy of Sciences and Honorable Dean of China Electric Power Research Institute. The center will set up a new energy power generation technology research unit, an advanced energy storage technology research unit, a new energy management and control technology research unit, and an energy cloud platform technology research unit. It will invest 1 billion yuan for research and development over the next three years. Trina Solar Chairman and CEO Jifan Gao said at the launch ceremony: "The global energy system is experiencing a significant change, with solar power becoming the most widely installed renewable power source. A new era of renewable energy IoT with a focus on distributed power generation as well as power storage and use is coming." 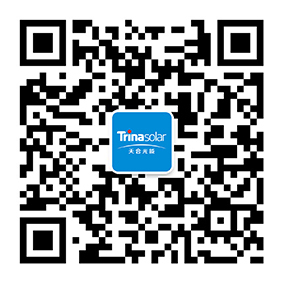 "The new industrial innovation center under Trina Solar's leadership will enable efficient interactions and cooperation between downstream and upstream players, with the aim of solving China's key challenges in the alternative, renewable and sustainable energy field. Trina Solar is committed to becoming a leader of energy IoT in the new era and has put the strategy of becoming the leader into action," said Xiaoxin Zhou.